A tiny home forced me into downsizing my lifestyle. For many of us, minimalism is a lifestyle but that doesn’t mean we do not struggle with it at times. Personally, I struggle with minimalism because I am manic for monograms. They bring me so much joy! The urge of wanting to acquire useless crap only gets stronger when I’m out and about. Which is all the time! As a recovering shopaholic (and semi-bag hoarder), I know that a tiny treat can easily trigger a vicious cycle of acquiring expensive stuff. Learning not to chase every temporary high can extremely difficult but doable. Amy Henion of the Tiny Life expounds on the meaning of living in a tiny home. In this video, she spreads the word about living simply by joining the tiny home movement. Bestselling authors Joshua Fields Millburn and Ryan Nicodemus talk about living a simplified lifestyle. The Minimalists duo also highlight the impact of minimalism within the community. Writer and designer Graham Hill, the force behind LifeEdited.com, gives a TED talk about how living simply can lead to a rewarding life. In this video, he outlines ideas for taking less space and shares minimalist tips for an edited life. Adam Baker of the Man VS Debt website talks about the pivotal moment in his life where he lost everything for personal growth. Together with his wife, Baker found unlimited happiness in simple living. Filmmaker and traveler Marty Stano talk about adopting minimalism affected his life. In the video, Stano revealed his overall view of the real meaning of happiness. Angela Horn of Mostly Mindful: Minimalism Made More-ish shares her own experiences when she chose to de-clutter her life. She discussed the impact of downsizing and how it changed her perception and positively affected her life. Veteran builder Andrew Morrison, together with his wife Gabriella, developed the hOMe project. The couple transformed a tiny home on wheels into a stylish bedroom loft. In this inspiring TED talk, Morrison talked about his personal experiences with tiny housing. He also gave tips on creating mini homes and living a simple, debt-free life. David Friendander talks about turning the Life Edited principle into a lifestyle. The Lucid NYC founder outlined the beauty of a pared down life, explaining how simple living equates to real happiness. Engineer Dondi and nutritionist Erin came together to take on the experiment of the lifetime. The couple pared down their lifestyle by building a tiny house. Dondi, an engineer, specializes in sustainable site design. Erin, a wellness expert is an accomplished author. 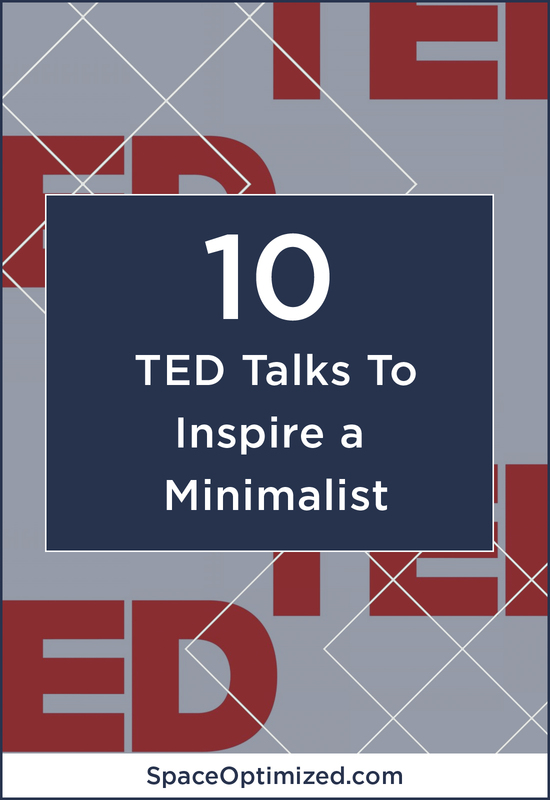 In this TED talk, the duo talks about how the minimalist lifestyle compelled them to re-think their priorities. They shared the lessons they learned about integrating sustainability in daily living. Grant Blakeman shares his insights and experiences after choosing to live a minimalist life. He teaches the audience how living simply – and not adopting a cluttered, over-complicated lifestyle – is key to happiness.